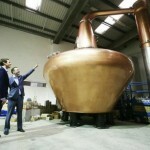 First new copper pot stills arrive in Dublin in over 125 years. 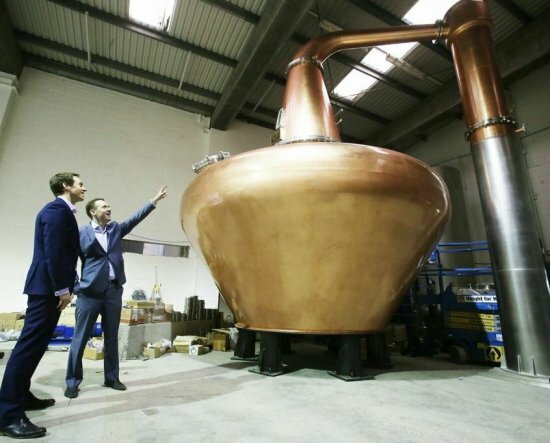 The production of the first Irish whiskey produced in Dublin in over 125 years got one step closer this week when the new Teeling Distillery located in Dublin’s Newmarket in The Liberties took delivery of three new, handcrafted copper pot stills. The pot stills mark a milestone for the Teeling family, bringing whiskey production back to their ancestral roots in Dublin 8. The new distillery will be a modern revival of the Teeling distillery that thrived in the area in the 18th century. Crafted in Sienna in Italy by Frilli Impianti, who have been making distilling equipment since 1912, the traditional copper pot stills travelled 2,275 kilometres to their new home in The Liberties, where they were assembled on-site. The 15,000 litre wash still, 10,000 litre intermediate still and 9,000 litre spirit still will be at the heart of the distillery and are essential for creating the distinctive flavour of Teeling Whiskey. The new Teeling Whiskey distillery received planning permission in January 2014 and started work on site in August with over 100 people employed during the construction of the distillery with 30 permanent jobs planned for following its completion. Commission of the new distillery will happen early in the New Year and with the distillery opening its door to visitors soon afterwards.